It has been increasingly hard to buy good gifts for Pop Culture Dad. We pretty much buy things as we want them, save for really large purchases, and we've been trying to scale back on the over-the-top gifts the last couple of years. He doesn't maintain a wish list and doesn't have very many hobbies, and there's only so much St. Louis Cardinals stuff you can buy before it gets really duplicative. After giving a birthday present this year that did not receive a very enthusiastic response, I had to think really hard to come up with a present that Pop Culture Dad actually wanted, but that wasn't overly practical. Enter the Roku. Pop Culture Dad had mentioned several times that the Roku or something similar might be a good purchase. We have two Blu Ray players with internet connection and one is connected to an internet-ready TV. Add the various tablets and smart phones, and it didn't seem like we really needed another internet-content player for the television. But we have one oft-used television without any internet content, and it looked like the Roku also traveled easily, so I went ahead and bought it. The gift went over like gangbusters. It probably didn't hurt that there is a lot of sports content. Fast forward to today. Super Girl has been sick within ear infection and 102-degree fever for the last three days. Since today was my ETR day, it was my turn to stay home with her. There are only a few summer programs worth watching, and we've pretty much cleaned out all of the shows on the DVR that aren't for the kids. I was hoping to fold some laundry upstairs while caring for my little patient, but i needed to keep us entertained, so enter the Roku. I watched a couple of shows and then we dozed off on the couch.... And when I woke up, the itty bitty Roku remote was nowhere to be found. I swear I looked everywhere logical, but it was just gone. 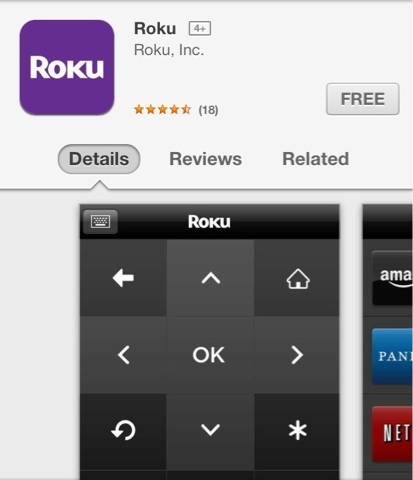 On a whim, I went to iTunes to look for a Roku remote app. Sure enough, there was one! And the app was free! 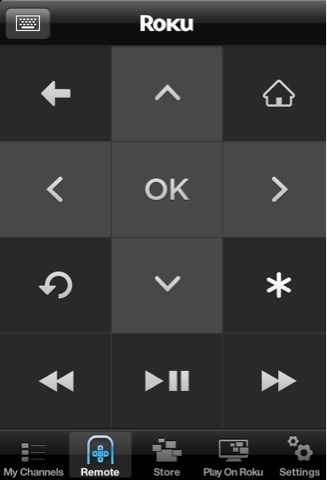 Not only did it control the Roku like a remote, but it had options to download more channels and—my favorite feature of all—"Play on Roku," which allows me to send the music, videos, and pictures on my iPhone or iPad directly to the television through the Roku. 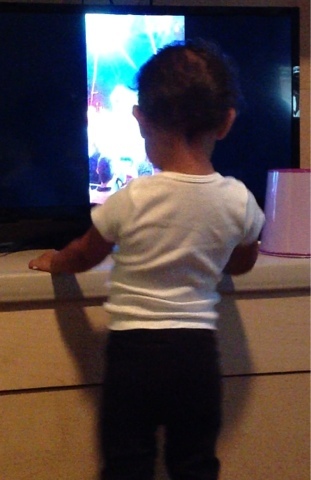 This is Super Girl's favorite feature too. 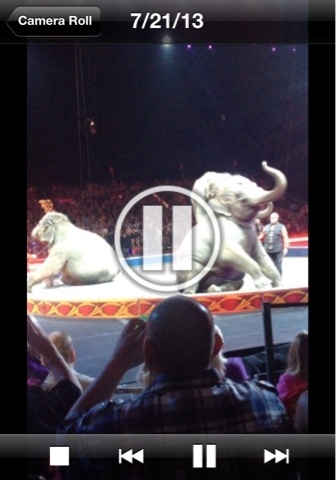 She had me play the video of her at the circus, watching the elephants and dancing, at least 30 times today. Despite the two Blu Ray players, Pop Culture Dad had been talking about getting a Chrome TV to stream our phone content to the television [he refuses to buy anything with iOS, so an Apple TV is out]. 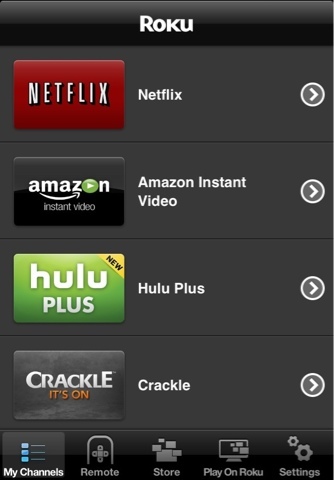 Now that we each have the Roku app (it is on Android also), looks like we won't need that. Huzzah!